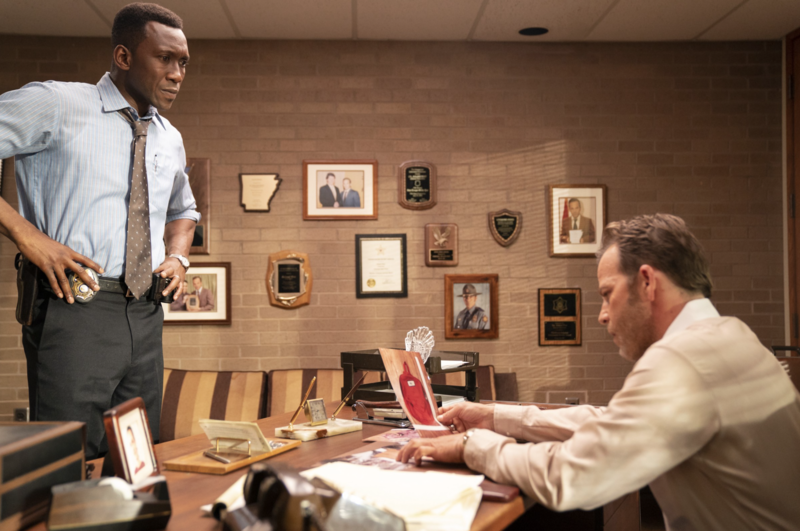 Wayne is in a race against time, trying to get to the truth before the further shadowing of his memories closes that door once and for all on the latest episode of True Detective. Can Wayne get Roland to forget about a past grudge and help him solve the case before all the clues are too far out of his reach? There are a lot of political ramifications for the police and the Attorney General when the Julie Purcell case is reopened in 1990. Both Blevins (police) and Kindt (AG) have a lot at stake personally and want to make sure the conviction for Will and Julie’s murder doesn’t get overturned. These two built their careers on this case, and if for some reason it were to all come crashing down, there’s a chance their careers could suffer significantly, much like Wayne’s has. How far would these two go to make sure it were impossible for the truth to come out and cast doubt on the validity of the Woodard conviction? 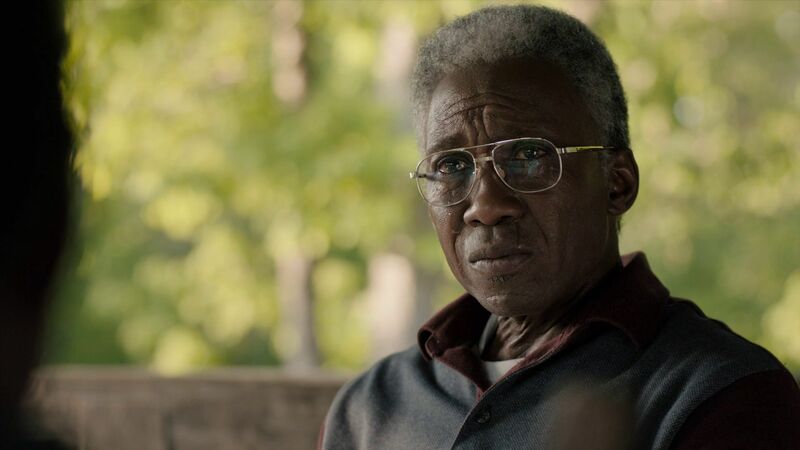 The aftermath of the incident at Woodard’s house is a complete mess, and one where Wayne’s Vietnam instincts save Roland’s life, and possibly his own. Woodard respects Wayne, and could have killed him, but didn’t. His suicide by cop isn’t fair to Wayne, and if you go back and watch episode 4 where old Wayne sees the ghosts in his home office, you’ll see Woodard mixed in among the Vietnamese. In the 1990 conversation with Woodard’s children’s lawyer, Wayne accuses Woodard of making him carry his water, or adding him to the ghosts of people he’s killed he carries with him through life. The crime scene at Woodard’s house is a complete mess. It looks like a war zone. It took three days to process the crime scene, and when they finally did, cops found Will’s backpack under the porch (surprisingly clean after the explosion) and Julie’s dress in a burn barrel. This is the evidence that convicted Woodard of killing the Purcell kids posthumously. There are a lot of strange things going on in this case, and once it’s reopened Wayne finds the unknown fingerprints he logged in 1980 off of the toys has gone missing. Something is off, way off about all of this. Wayne realizes the evidence at Woodard’s was planted, but by whom? Could the killer have entered the crime scene and put those items there to keep the police off of his trail, or could the person who planted the evidence be the same person who removed the fingerprints? Could the kidnapper and killer be a cop? This is an interesting avenue to go down, especially given Elisa brings up the case of police officer Harris James going missing after the Purcell case was reopened in 1990. He’s the officer seen with a clipboard processing the Woodard crime scene when the Purcell evidence is found. This is what the prosecutors use to pin everything on Woodard after his death. We already know someone either impersonating an officer, or an actual officer, has been going around interviewing people before Wayne and Roland do. The farmer near where the toys were found mentioned a cop already being there, and so did at least one other person they interviewed. Was a cop covering his tracks? If it’s not Harris James, it could also be Blevins. The Woodard conviction boosted himself and Kindt professionally. I wouldn’t put it past either Blevins or Kindt to destroy the fingerprint evidence to make sure the crime stays pinned on Woodard whether Julie is alive or not. 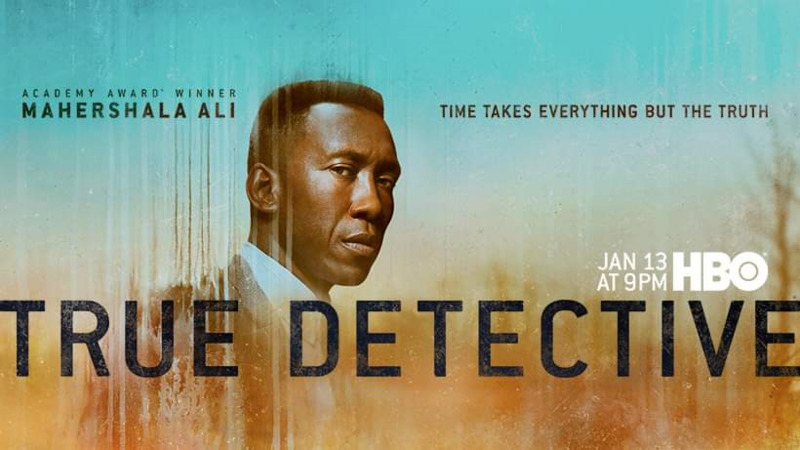 This season of True Detective is far more dense than the last one, and possible even the original series. There are so many ins and outs of the Purcell case, numerous players involved or possibly involved, and it’s all going on in the shadows of Wayne’s memory loss, and the police force and Attorney General’s office putting their thumbs on the scales of justice. The tip line call from the woman purporting to be Julie Purcell seems legit. She knows things Julie should know, but her grasp on reality in the conversation seems off. The way she talks about Tom not being her father, only pretending to be, and knowing what he did, makes it seem like whomever took her brainwashed her into thinking this man, who was broken by her disappearance, is an imposter. She’s also fearful of the cops. Is this because a cop abducted her? Wayne’s stubborn nature has kept him from reading Amelia’s book until 2015, but once he does he starts seeing connections that would have been invaluable to him when he was working the case. If not for her book, he’d never have made the connection between a statement Lucy made to Amelia, and the ransom note the Purcell’s received after the children’s disappearance. Was Lucy more involved than Wayne knew? I don’t think she wrote the ransom to make Tom feel better, as an older Wayne tells Roland. Lucy was never one to do nice things for Tom. Was she the blonde woman seen with the kids? Was she dating the real murderer and kidnapper? Were they planning to take her kids away together, but things went sideways and Will died? Was it all an accident that got out of hand? Old Wayne has trouble convincing Roland to get the band back together and finally solve the case once and for all. It seems the Purcell case damaged both of their personal lives, and somewhere in the last 24 years Roland has had a simmering anger towards Wayne, but Wayne can’t remember why. 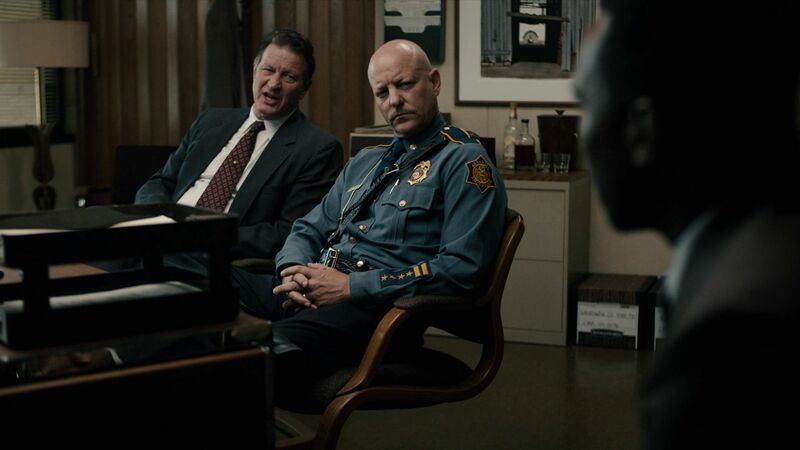 Their argument and reconciliation is a moving scene, and the two men put the past behind them, even if it is to reluctantly work together to solve the case with what little time they have left. During the conversation it becomes clear that Wayne and Roland killed someone in an act of vigilante justice, only Wayne doesn’t remember it anymore. Roland is worried Wayne will say something to the documentary people to incriminate himself. Who did they kill? Was it Lucy’s cousin Dan? Was it policeman Harris James after they figured out he was involved? Is he the other ghost that can be seen haunting old Wayne in episode 4? How are the Hoyt’s involved in all of this, and is Julie still out there? More next week.